Frozen Yoghurt is the new favourite of the people. Froyo, as it is popularly known is one of the new inventions of the dessert industry that has thrived over the taste buds of the people for a very long time now, setting a never ending trend of growth and popularity. Frozen yoghurt is a yoghurt based desert served in various flavours with toppings of a many different kinds. It is lower in fat than ice-cream and almost any other dessert, making it a viable option for the diet-conscious as well. The cause of low fat in the frozen yoghurt is that it is made with milk and not with cream which automatically decreases the fat content. It may or may not contain pro-biotic bacteria that is known to improve digestion, however frozen yoghurt promises to retain every positive property of the plain yoghurt which has been preferred across the countries for generations altogether. 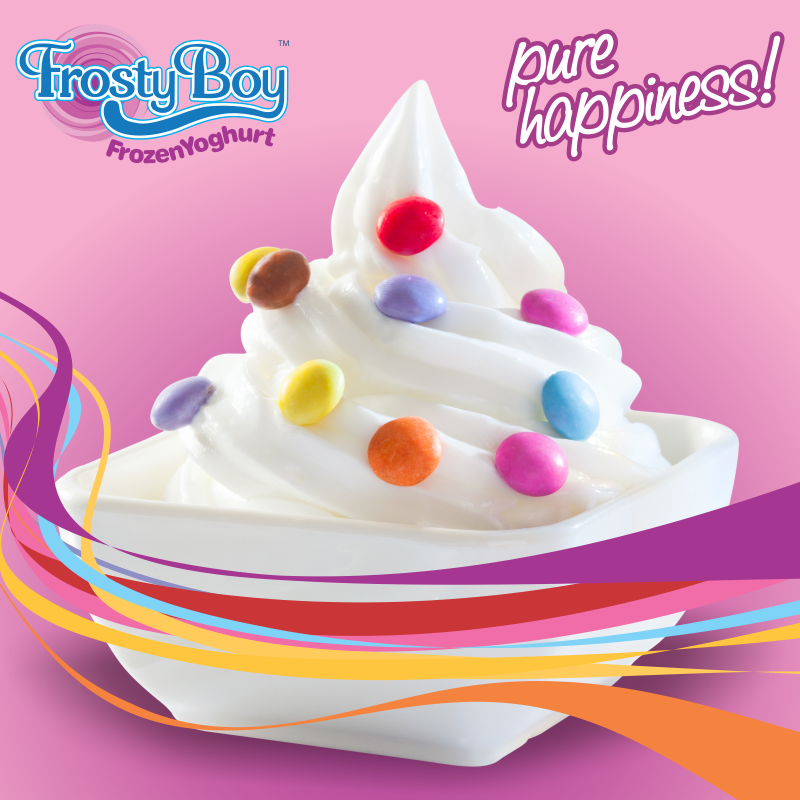 The USP of Froyo is that it delights the sweet tooth, without giving rise to the need of compromising on the health. One can make the frozen yoghurt healthier by wisely choosing toppings such as fresh fruits so that it increases the nutrition offered by that cup of frozen yoghurt. It took quite some time for the discovery of frozen yoghurt as a global dessert variety. Plain yoghurt was consumed by some countries even a hundred years ago but it was in the 1970s that the properties of yoghurt were known across the world and people began consuming it with awareness and with intent to maintain their health and fitness. But it took another 30 years for the world to re-discover it as it is consumed today. The few first brands of frozen yoghurt started introducing frozen yoghurt in their chains in the 1980s and that was the year when the industry of frozen yoghurt was born. The Frozen Yoghurt industry was very slow earlier than it is today. People being slightly resistant to change did not immediately accept the now famous Froyo. The good ole ice-cream was their favourite and not all of the dessert lovers were willing to experiment or give up their old ice-cream. Gradually the industry began flourishing. Initially most people chose Froyo over ice cream solely due to the fact that it was healthier. Gradually more flavours and varieties came in that not only tempted the people but also gave them ‘something new’ from the ordinary options. Australia had its first frozen yoghurt brands in the 1980s and since then they have sustained, not once looking back and always growing. Although the industry was slow earlier and it took time for the industry to emerge, huge amounts of capital was invested to open frozen yoghurt brands which then had franchises unbound by the limits of any state or country and extending their arms throughout the world. Earlier, out of 100 people, only some 15-20 would have preferred to have frozen yoghurt than other dessert. Also the expansion of franchises took years altogether keeping in mind the slow growth. After a decade of a sustaining frozen yoghurt industry, there was a decline. Due to the ice-cream houses coming up with fat-free varieties coming up very quickly, the frozen yoghurt industry suffered loss. The ice-cream sales rapidly grew by almost 25%. The people began losing interest in this variety of dessert and began switching back to their old preferences as the competitors has brought out new varieties of the same ice-cream to lure in their lost customers and bring back the revenue in the ice-cream industry. This was also the time when the coffee trend had begun and lots of coffee houses started their stores, giving another option to the people. But only change is permanent they say and that is exactly what happened with the frozen yoghurt industry. Today if a survey of 100 people is carried out to know their preferences for dessert, 70 of them would opt for frozen yoghurt instead of any other dessert variety. The frozen yoghurt industry is bustling and growing with a very fast pace today due to the increasing popularity of this dessert. The entrepreneurs believe that this trend is there to last. After the decline in the industry in the late 2000s, the rapid and better than before growth is seen today and it seems that this is to last. This happened because of the new varieties of toppings and flavours that came up, giving a boost to the development of the Froyo industry. The franchises double in a year and the industry is so huge that it has given rise to lots of employment opportunities as well. In Australia, Sydney is the country that is deeply in love with frozen yoghurt and that love is here to stay. There is immense competition among the various big and small brands today that is making the industry’s growth peaking. Also it is due to this competition that the quality of frozen yoghurt continues to be the one that matches international food standards. With more consumer awareness today than there was during the birth period of this industry, there is a constant need to deliver what is promised and to keep innovating with the flavours and toppings to ensure a steady flow on the customers and also to keep their interest from dwindling in this dessert variety. The growth is so fast-paced today that successful franchises double the number of stores within a span of a year. If they have 50 outlets in the first year, they easily touch 80-100 in the consecutive one. This is the new craze among the new generation who does not want to miss out on anything new and has a hunger for variety and innovation. This is called the era of global resurgence of the frozen yoghurt industry. Australia is one of the biggest markets for the frozen yoghurt industry today where the trend has begun again in the last few years and it shows no signs of slowing down. 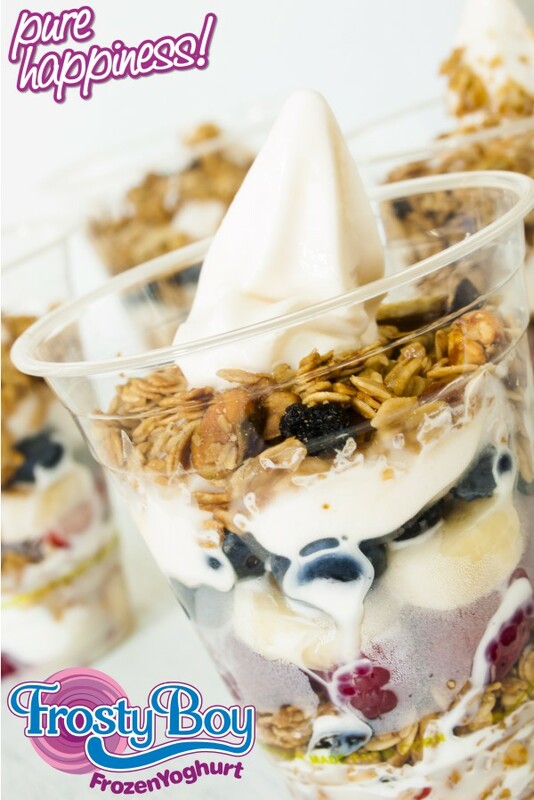 The growth of the frozen yoghurt market could be explained by an increase in sales in the frozen dairy sector more generally. In September 2012, Australian Food News reported that the value of the ice cream, sorbet and frozen yoghurt market in the UK overall had grown by 19 per cent in the last five years which had directly impacted the overall trend across the world. Frozen yoghurt had grown by 50 per cent over two years according to the research from Mintel. When we attempt to have a close look at the franchising trends, we see that more than a dozen different frozen yoghurt manufacturing companies have opened up their franchises which now operate close to 50 stores in Sydney alone, almost half of these inaugurated in the last year giving impetus to the franchising trend in Australia in 2014. The frozen yoghurt stores can be like cafes or can be self-serve ones, having only counters and different boxes of toppings and flavours to choose from. Establishing a franchise with a large seating space is difficult for the start but setting up over-the-counter services is comparatively easier and this exactly is the current franchise trend for froyo stores. Only within a span of one year, the stores multiply to a large number as the increasing demand for frozen yoghurt is reaching its peak in Australia. The time is not far when every lane, nook and corner would have a frozen yoghurt store to indulge in. Sydney, Melbourne and Perth are the hubs for the growth of the frozen yoghurt franchises with Sydney being way ahead of the others. This is one of the biggest food trends just as it was one of the biggest food trends of 2013 as it was stated by the global marketing group JWT in their annual "things to watch" list. This is happening because of the increasing awareness of the consumers who know about the health benefits of the yoghurt and are opting for it more consciously. The consumers are educated also due to the widespread advertising campaigns about the health benefits of frozen yoghurt and its advantages over other dairy products and dessert varieties. Frozen yoghurt sales have increased drastically in a year, therefore steady and fast growth is expected in this industry over the period of time. Looking at the current trend, a single brand of frozen yoghurt could have on an average 70-80 outlets spread over a country or countries. Generally, yogurt shops require initial investments ranging from $330,000 to nearly $500,000 and averaging around $400,000. And with the most viable self-serve option labour costs at some shops can run lower than 20 percent of sales. There is plenty of room for innovation in the frozen yoghurt industry and that is what has brought the boom back in the industry. In order to keep a positive and expanding trend going on with a fast pace, there needs to be constant innovation brought out by different brands from time to time. That is the biggest strength of Froyo that there is no limit for the number of possible combinations with all the flavours, toppings and sauces. In spite of all of this, there is a big step being taken by certain frozen yoghurt brands. They wish to offer their customers more than just the frozen yoghurt. They want the frozen yoghurt outlet to be a place where they could meet, discuss, unwind and relax. They wish to do away with the traditional ice-cream parlour environment and bring in live-music performances, amazing decors etc. just to give the people more than their cup of Froyo. SO IS THE FROYO FOREVER? 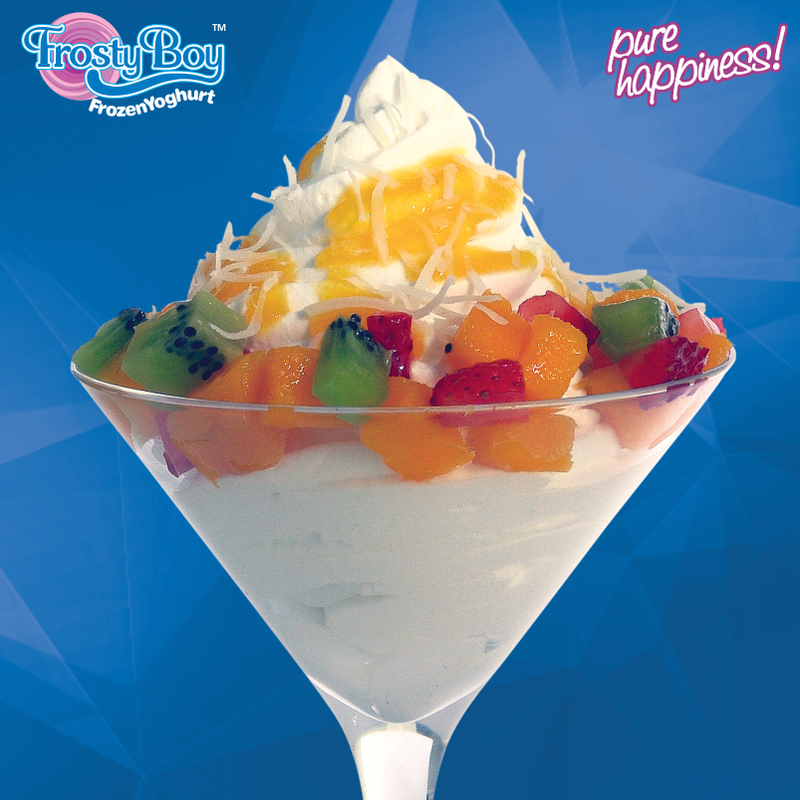 After analysing the trends, we can easily say that this time the frozen yoghurt dessert is meant to last forever. When most of the people have begun choosing the froyo over ice-creams and are excited to try a new combination every time they visit a store, when this has become more of a statement for the young crowd and a healthy alternative for all the ones who are health-conscious ones, the chances of this trend to fade away are zero. There are varieties like hand-scooped, smoothies, frozen yoghurt filled in cakes and pies etc. available as sub-varieties adding to the wide array of already available options to pick from. When anything is nick-named by the people, it usually happens when that thing or person becomes popular and frozen yoghurt has been given loads of nick-names, the most popular being, ‘Froyo’. There are various countries in the world that still do not have frozen yoghurt outlets and there are many untapped potential markets in the countries which already have yoghurt brands. Although weather and location may indeed be concerns when opening up these summer-friendly franchises, being one of the first franchisees in the area is an opportunity in itself. Within a few years, with the same scale of marketing of Froyo, the industry should witness a bigger boom than it has today leaving out no country that has not tasted various varieties of frozen yoghurt. Some organizations report that the upward trend of the frozen yoghurt industry will contract after a point of time where the growth will start decline. However, all we can say right now is the trend does not seem to have an end, just like ice-cream, frozen yoghurt would last forever as a healthy alternative and as a delicious, ‘always new’ dessert. The rest, time will tell. Let’s wait and watch while we enjoy our cup of Froyo today!